Access Dunder Casino UK and claim this awesome first deposit bonus. 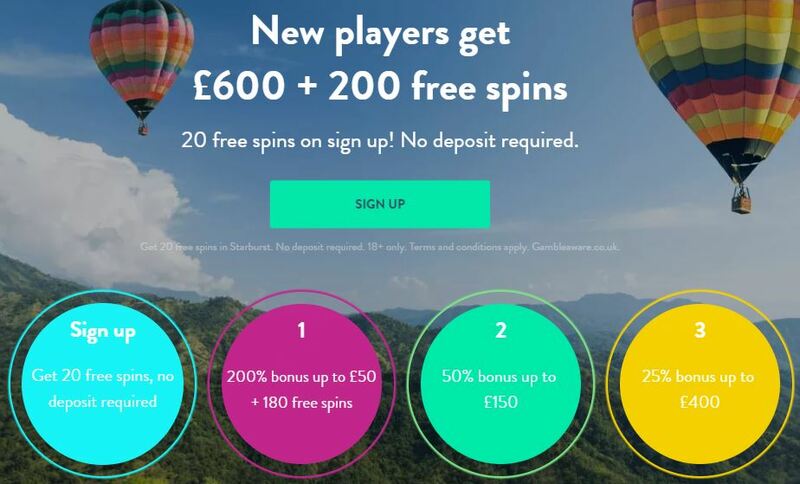 Register, make a payment, and you will receive a 200% match up to £50 and additional 180 spins. Use the extra money to play all your favourite games. The Spins will be credited daily for 9 days. Every day, you will receive 20 bonus rounds that are available only on Starburst. Use them within 24 hours from the moment they are credited. Wager your bonus 25 times and after that, you can cash out. Get your hands on this rewarding offer and enhance your gambling experience!